Herbert Joiner was a hotelier in Bournemouth before the war. He died of exposure, having spent most of the night trapped in deep mud. Herbert George Joiner was born on 29 July 1886 at “Hailstone”, Prince of Wales Road, Westbourne, the elder child of George Joiner (1859–1916) and his wife, Ellen née Daly (1861–1910). George was born in the tiny village of Chettle, near Blandford Forum in Dorset. Like his father, also George, he was a painter by trade. On 7 September 1885, he married Ellen Daly, the daughter of an Irish labourer, at the parish church in Holdenhurst, a few miles to the north of Bournemouth. Their first child, Herbert was born a year later. In the 1889 Kelly’s Directory for Hampshire, George is listed as a painter and decorator living at Prince of Wales Road, in the Westbourne area of Bournemouth. At the census two years later, the family (George, Ellen and 4-year old Herbert) and two lodgers are recorded at Herbert Villa in Prince of Wales Road. George was still listed as a painter and decorator at Prince of Wales Road in the 1895 Kelly’s Directory, but in 1898 he was now recorded as a Beer & Wine Retailer at 118 Commercial Road, Bournemouth. Shortly afterwards, George acquired the Eastleigh Hotel opposite the London & South Western Railway Works in Southampton Road, Eastleigh, Hampshire where the family, including 14-year old schoolboy Herbert, were recorded in the 1901 census together with three live-in staff. The family soon returned to Bournemouth and acquired the South Western Hotel in Holdenhurst Road, where the couple’s daughter, Kathleen Marion, was born on 5 February 1904. Sadly, Ellen died in late 1910 aged 49, leaving George as a widower with a 6-year old daughter. At the 1911 census, George and his two children were resident at the South Western Hotel (24-year old Herbert was listed as ‘assistant manager’) with George’s 44-year old sister Mary Ann as housekeeper. There were also eight live-in members of staff. 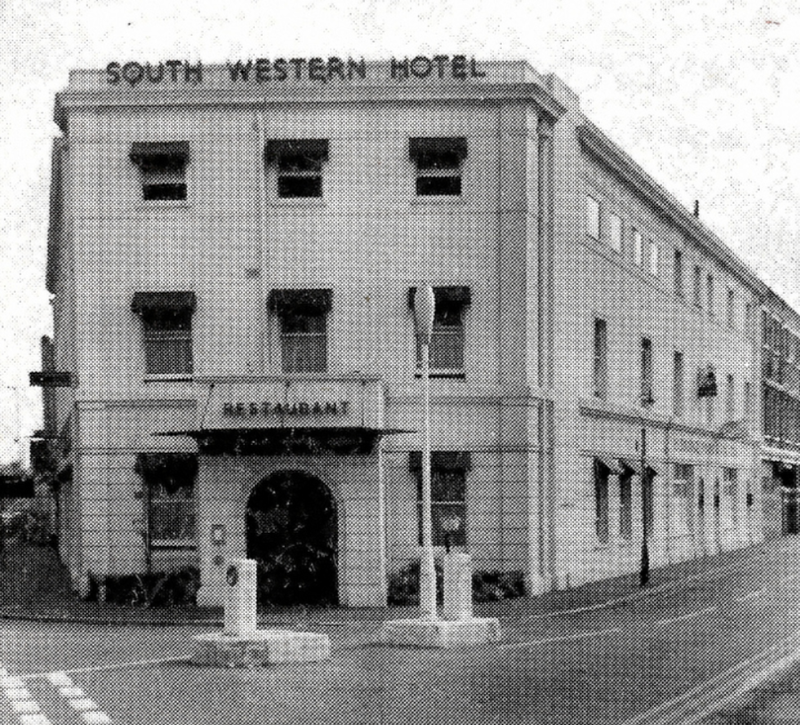 At the time Herbert enlisted in late 1915, he and his father were still resident at the South Western Hotel. Herbert’s father, George, had been initiated into Lodge of Unity, No 132 at Ringwood on 8 December 1904. Herbert followed him into the lodge three years later, when he was initiated on 12 March 1908. He was passed to the second degree on 14 May and raised to the degree of a Maser Mason on 10 September 1908. Prior to the war, Herbert had served as a volunteer with the Hampshire Carabiniers. He enlisted at Bournemouth on 11 December 1915, initially being held in reserve until 1 March 1916 when he was mobilized as Private No 22777 in the 16th Battalion, The Hampshire Regiment. He remained with the Hampshires for only six weeks, and on 12 April he was transferred to the Machine Gun Corps as Private 31748. After two months training with the Machine Gun Corps, he was posted to France, travelling from Folkestone to Boulogne on 16 June, reaching the base depot at Camiers, 20km south of Boulogne, on 19 June. On 5 July 1916, Herbert was posted to the 11th Company of the Machine Gun Corps at Mailly-Maillet, 100km south-east of the base camp. 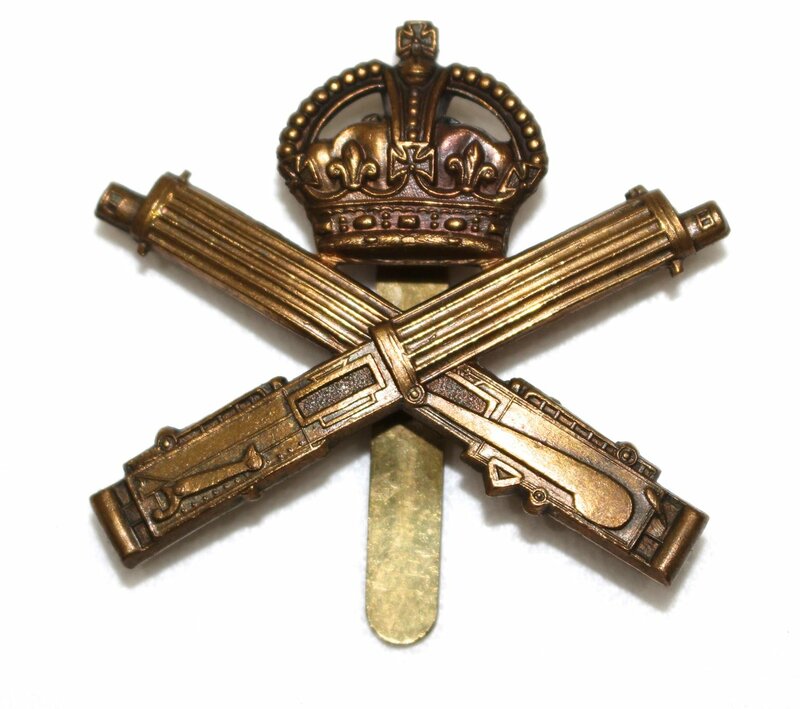 The company was part of the 4th Division, 11th Infantry Brigade, (comprising the 1st Battalion, Somerset Light Infantry, the 1st Battalion, East Lancashire Regiment, the 1st Battalion, Hampshire Regiment, the 1st Battalion, Rifle Brigade and the 2nd Battalion, Royal Irish Regiment) which had suffered heavy casualties in the early days of the Battle of the Somme, including the death of the commanding officer, Captain Francis George Ross Mockler M.C. Shortly after Herbert joined the company, they left the Somme and were sent by train to Belgium, to guard the canal at Elverdinge, north of Ypres, where they arrived on 26 July. Over the next two weeks, the brigade regularly came under fire as the enemy attempted to push the British back from the canal. On 11 August, the company were relieved and returned to camp, where Herbert was given the news that his father had died on 31 July. Herbert was given a week’s leave to return home to help deal with his father’s affairs, returning to the front on 17 August. A few days later, the company once again went into the front line, this time at Hooge, east of Ypres. Here they frequently came under gas attack until they were relieved on 9 September and sent by train to Bollezeele, 17km south of Dunkirk in France. After a week of marching practice, the unit moved again to Longueau, near Amiens on 17 September. By now the weather had become very bad, with heavy rain most days. After a few days’ rest, the unit marched 15km east to Corbie where, despite the appalling weather conditions, they spent their time training in rapid fire techniques, trench building etc., including mock attack exercises. On 7 October, they were again sent near to the front line, marching 22km north-east to Montauban, where they were billeted at the Glatz Redoubt. The rest of October was spent in the Albert area restoring the trenches and dugouts, coming under occasional enemy fire, and at the end of October, they were in billets at Vaux, before withdrawing from the front area on 31 October and going by rail to Citerne, about 70km behind the lines, south of Abbeville, from where they marched to the training area at St Maxent, 8km north-west. November was spent training at St Maxent, with the weather variable between heavy rain and bright, mild days, until 7 December, when they returned by train 70km to Morlancourt, to the south of Albert. Relief complete. Owing to darkness of night, difficulties of ground and deep mud, great difficulty was experienced in leading gun teams into position. No 31748, Private Joiner died of exhaustion, after having been pulled out of mud in which he had been immersed for best part of night. Gun he was carrying found afterwards buried four feet deep in mud. At the time he was discovered, Herbert was still (barely) alive, but he died in a field hospital later that day from “exposure”. Even in death, Herbert was unable to rest in peace. He was initially buried close to where he fell, but over the next two years, the front line moved backwards and forwards and his grave was lost in the subsequent battles. He is therefore one of 72,000 men with no known grave, who are commemorated on the Thiepval Memorial to the Missing of the Somme. He appears not to be commemorated on any UK war memorial. For his services, Herbert was awarded the Victory Medal and the British War Medal. These were sent to Herbert’s aunt, Mary Ann in trust for Herbert’s younger sister, Kathleen, with strict instructions that “they are the property of, and should be handed to, the child on attaining an age to appreciate their value”. Herbert’s estate totalled £1326 which was left in trust for his sister, Kathleen, then aged 12, together with her share of her father’s estate. At the time of Herbert’s death, his sister and aunt were living at ‘Iona’, 55 Fortescue Road, Bournemouth before moving to 184 Capstone Road. Mary Ann died a spinster, in Dorchester in January 1943, aged 76. Kathleen married Arthur Phillips (1897–1968) at Romsey in 1948. The couple appear to have had no children, and she died, aged 61, at Harrow, Middlesex in 1965.